Follow the watchman in the original uniform on a pleasant and moody stroll in the cobbled streets of award-winning city. You will get all the good stories about the town's houses and their residents in the past and present. Ærø was part of the Schleswig Duchess for approx. 450 years, and this still largely reflects the city's architecture and history. We pass the old administrative and skipper houses, which were built in the city's greatness in the period from 1750 to 1850. The oldest houses we visit are from the 1600s and are completely unique. 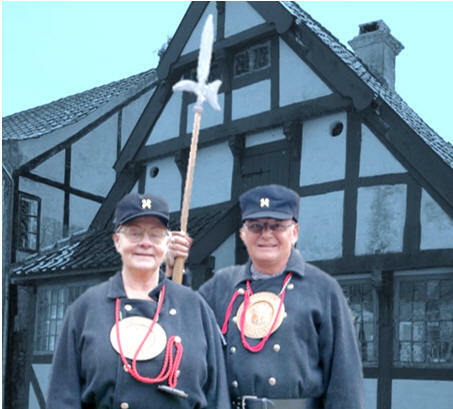 Previously, the night watch in Ærøskøbing used a modern designed copy of an old weapon, a morning star. During the cleanup of the museum's archives in 2016, the original Ærøskøbing night watch weapons - a halberd from 1790 - appeared from the stores. These weapons were copied by a local craftsman, Michael Kiersgaard, and they are now part of the night watch´s equipment. The night watch will start at 21:00 (9PM) every day from JUN18 - AUG24. The tour takes approx. 75 minutes. Due to earlier sunset, the tours start from AUG 6 at. 20:00 (8PM). Meeting venue: All tours depart from the old town hall on the market square. Reservation is not necessary - just join the night watch. Price DKK 30.00 for adults paid to the night watch at the start of the trip - children under 12 are free of charge. Booking is not necessary - just join us for an exciting experience. The tours on Wednesdays and Saturdays are conducted in English. If you have basic knowledge in English, you are more than welcome on one of these tours - regardless of nationality. If you are a larger group, city walks can be booked at all times and days by contacting the Night Watch at: nightwatch@aeroetours.dk or at tel. +45 40 46 66 75. 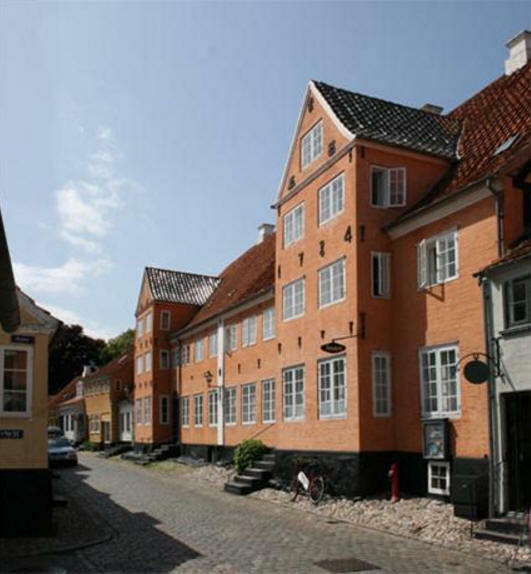 The Culture Board of Denmark has appointed Ærøskøbing City to National Treassure, the board writes in its statement: "Ærøskøbing is a completely unique and homogenous original shopping area with medieval streets, well-preserved houses from the 1700s and 1800s, planting in the streets and a small harbor. 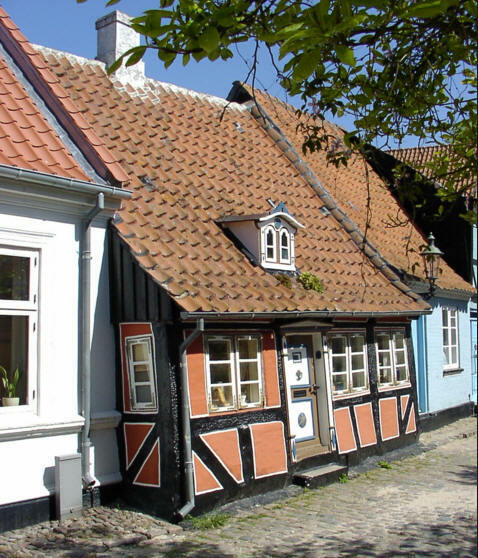 In 2002 Ærøskøbing received Europa Nostra the award for the preservation of European heritage and is today a favorite tourist destination "